Missouri insurance officials have issued a preliminary order (PDF) against the merger of Aetna and Humana, the first state to find serious antitrust problems with the massive transaction. But some antitrust experts aren't convinced selling off assets to another insurer will solve all concerns. And Missouri's decision raises questions and widely differing opinions about how to define competition in Medicare. John Huff, director of the Missouri Department of Insurance, wrote that if Aetna's $37 billion takeover of Humana goes through, the two health insurers “shall cease and desist from doing business” throughout the entire state with regard to certain products. Specifically, Aetna and Humana would no longer be able to sell individual, small group and employer-based Medicare Advantage plans in Missouri. Their individual Medicare Advantage plans would be kicked out of certain Missouri counties where competition would be heavily reduced. Aetna has received approval for the Humana deal in 15 out of a necessary 20 states. The U.S. Justice Department ultimately will have the final say, although states could pressure the feds to consider particular angles. The Justice Department declined to comment on Missouri's ruling, while Aetna downplayed it. Missouri officials were most worried that competition in Medicare Advantage—Humana's primary business and the key reason why Aetna struck the deal—would be stifled and therefore hurt seniors in the form of higher premiums. Aetna and Humana, combined, control 54% of the individual Medicare Advantage market in Missouri and 30% of the group Medicare Advantage market. There are 23 counties in Missouri where Aetna and Humana have more than 80% of the individual Medicare Advantage market. Medicare Advantage plans offer lower cost-sharing for medical services, but their networks of hospitals and doctors are a lot more limited than traditional Medicare. Medicare Advantage is highly concentrated among the big private players. If the Aetna deal gains all approvals, Aetna would become the largest Medicare Advantage insurer with about 4.5 million members, before potential divestitures. However, Aetna executives have argued that even in that scenario, Aetna would cover only 8% of all Medicare beneficiaries. That's because Aetna's key argument in defending the Humana deal hinges on the interpretation that traditional Medicare and private Medicare Advantage plans compete with each other. Insurers argue Medicare enrollees can always pick one option over the other during Medicare's annual enrollment period. Insurance regulators in Florida, a state with a bevy of seniors in Medicare Advantage plans, accepted that premise in February. But Missouri officials did not, saying Medicare Advantage plans mostly operate in their own realm and compete against other private insurers, not the federal government. “Aetna and Humana failed to demonstrate that traditional Medicare operates as a competitive constraint in the Medicare Advantage market,” Huff wrote. Jonathan Gruber, a health economist at the Massachusetts Institute of Technology and an architect of the Affordable Care Act, testified during Missouri's long public debate of the Aetna-Humana deal. He said there is “incomplete competition” between traditional Medicare and Medicare Advantage. Missouri's decision does not kill Aetna's deal. Ira Gorsky, an analyst with institutional broker Elevation who has tracked the health insurance mergers, examined the Aetna-Humana transaction and estimated Aetna would have to divest almost 46,000 Medicare Advantage lives in Missouri, ranking only behind Texas and Florida. Aetna, Humana and Missouri regulators likely will try to find an acceptable number, based on county-by-county data. However, federal regulators have increasingly viewed divestitures as an inadequate way to solve antitrust concerns. 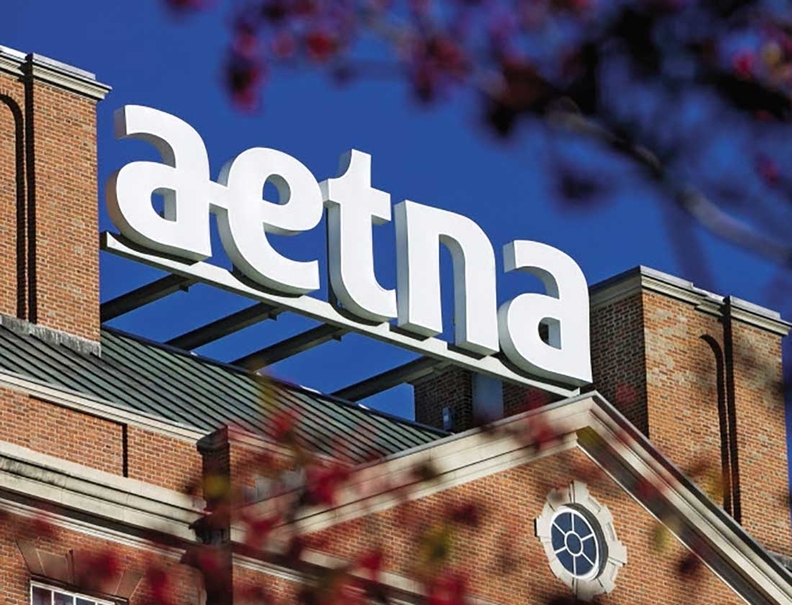 “This order signals the Justice Department will closely scrutinize how the merger of Aetna and Humana will impact Medicare Advantage markets throughout the country,” added Matthew Cantor, an antitrust attorney at Constantine Cannon. David Balto, a former antitrust official with the Department of Justice, hailed Missouri's preliminary order and called it a template for other state reviews. Balto also leads the Coalition to Protect Patient Choice and Campaign for Consumer Choice, groups that have vocally opposed the Aetna-Humana deal as well as the $53 billion transaction between Anthem and Cigna Corp. A Stat News report found that hospitals and physicians—who have publicly railed against the insurance deals on numerous occasions—are quietly funding the coalitions.